Since being established, Morrison Home Health has been attending to hundreds of patients in their homes. We understand how you would prefer to recover in your own residence instead of being confined in a hospital or care facility. Everyone has a home that they can picture out in mind. To every patient, home becomes synonymous to comfort. Where else would you like to be while managing your fragile health conditions? Morrison Home Health enables you to enjoy the benefits of your home environment while receiving uninterrupted care prescribed by your physician. Because of our knowledgeable staff and long-term home care experience, you can feel confident that you or someone you love is receiving continuity of care. Recovering from a medical condition, an injury or a major operation can have its challenges. Our part is to manage those challenges for you so you can speed through recuperation and get the lifestyle you want at home. Our long-term home care services will answer this requirement by matching a caregiver, nurse or therapist to your needs, schedule and home environment. 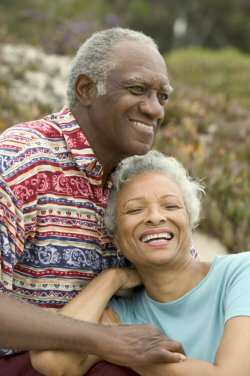 We can also provide relief for primary family caregivers through short-term care. Morrison Home Health encapsulates the definition of home care. With our mission to keep you as our priority, we are able to successfully answer to your health care needs at home – the best place to be.